Join LRW - get on the right track to success! Looking for a way to expand your reach? 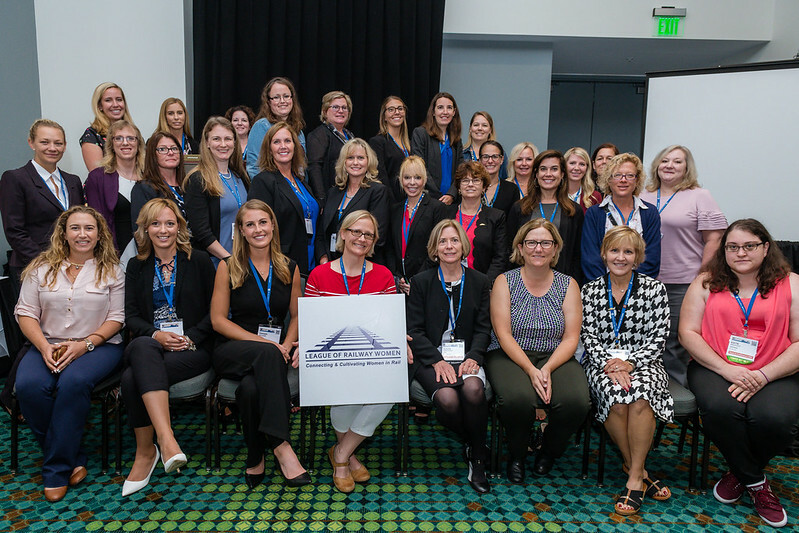 Founded in 1997, the League of Railway Women (LRW) is committed to improving the railroad industry by connecting and cultivating women in rail. Our mission is to advance the representation, recognition and opportunities for women, thereby promoting diversity and improving the business results of the railroad industry. On March 20, the Association of American Railroad's three female senior vice presidents, Adrian Arnakis, Kathy Kirmayer, and Kristin Smith – half of the organization's senior leadership team – came to railroading along fairly different paths. One a Capitol Hill veteran, one an expert communicator and one a longtime litigation attorney, they each found themselves drawn to rail. Continue reading. On March 20, the Association of American Railroad's three female senior vice presidents, Adrian Arnakis, Kathy Kirmayer, and Kristin Smith – half of the organization's senior leadership team – came to railroading along fairly different paths. One a Capitol Hill veteran, one an expert communicator and one a longtime litigation attorney, they each found themselves drawn to rail.